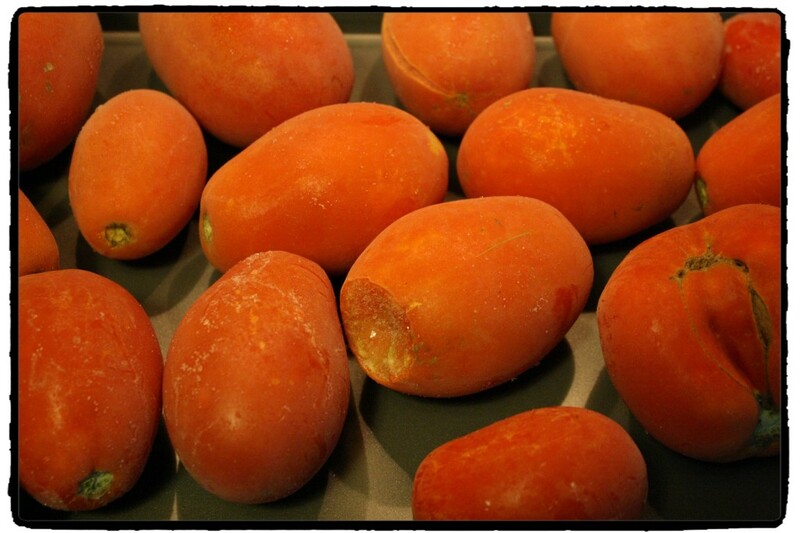 Tomatoes from this summer, frozen and thawing out. When my tomatoes started to finally ripen this summer, I was overwhelmed! There was no way I could eat that many tomatoes and I had given away as many as I could. I wasn’t able to can them at the time so I put them in freezer bags and froze them. It worked out perfectly! I had four gallon size bags of tomatoes in my freezer and I pulled out two of them to make tomato sauce to put in spaghetti sauce. Keep in mind that once they thaw, they will be very watery and mushy but since we are making sauce, that is OK. 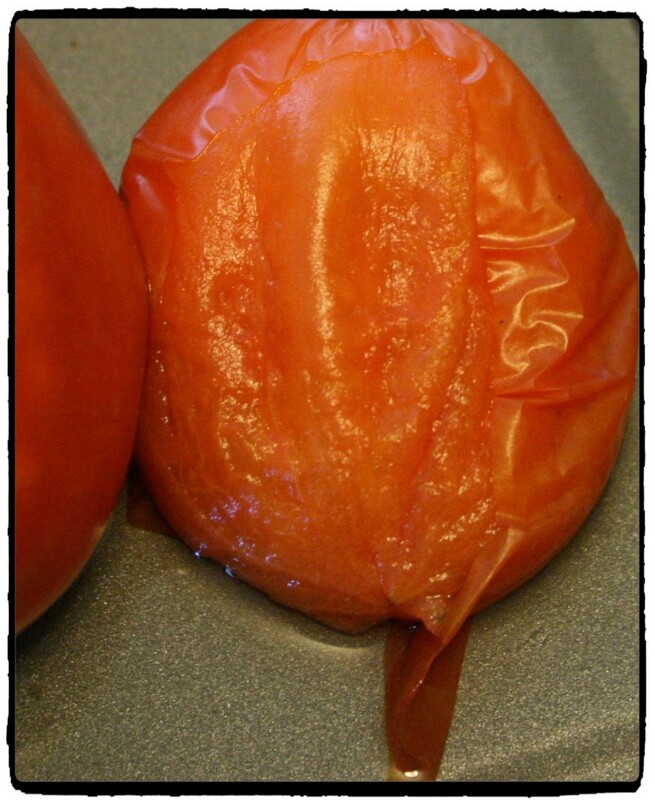 I first put the tomatoes on a baking sheet to thaw at room temperature. It took them about 4 to 5 hours to thaw out completely. The skins slipped right off when they were thawed so there was no need to put them in boiling water and an ice bath to get the skins off. I then chopped them up and removed as many of the seeds as I could and put them on the stove to simmer for about 45 minutes. 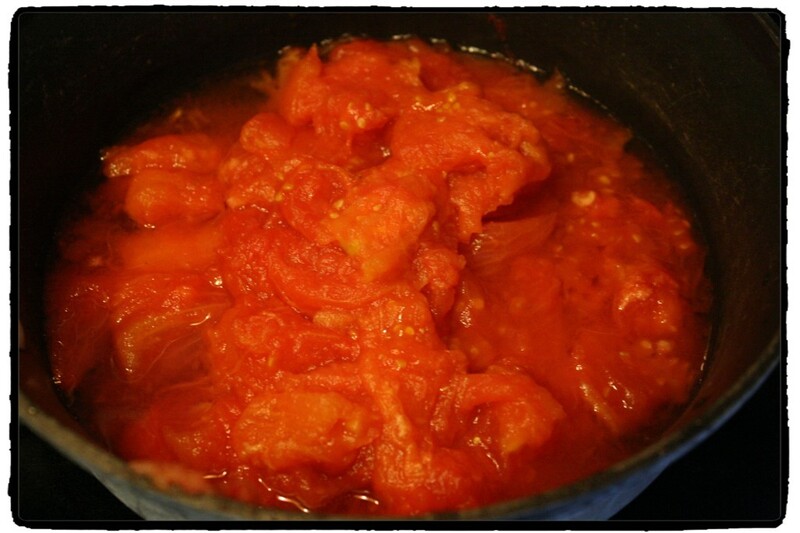 I didn’t add any water to the tomatoes and let them cook in their own juice. Finally I put them in the blender to make the sauce. It was the easiest way to deal with all the tomatoes that I had this summer and now I have tomato sauce from my garden to use in my spaghetti sauce! « Day Two – How Did I Get Here? What a great idea! I’m having one of those “Why didn’t I think of that” moments right now. I had so many tomatoes though not even half of them were harvested. Next year we will put up a fence to deter the rabbits from getting into my garden bed. Grr! If the fence doesn’t work, there is a spray you can get that will deter the rabbits. A warning though, the spray STINKS but it does work. I used Deer Off last year and it kept the rabbits away. 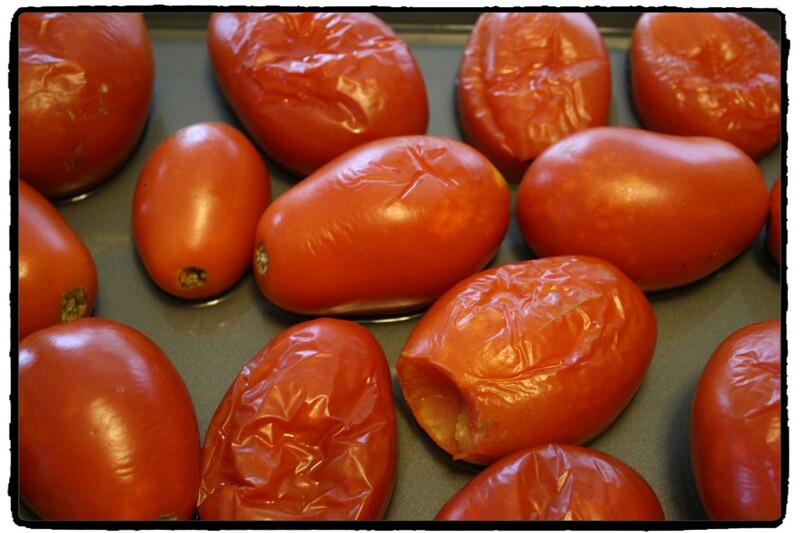 As for freezing the tomatoes, I still have several bags in my freezer to make spaghetti sauce or pizza sauce later in the winter.